Our green roof system is a blend of science, function and simplicity. 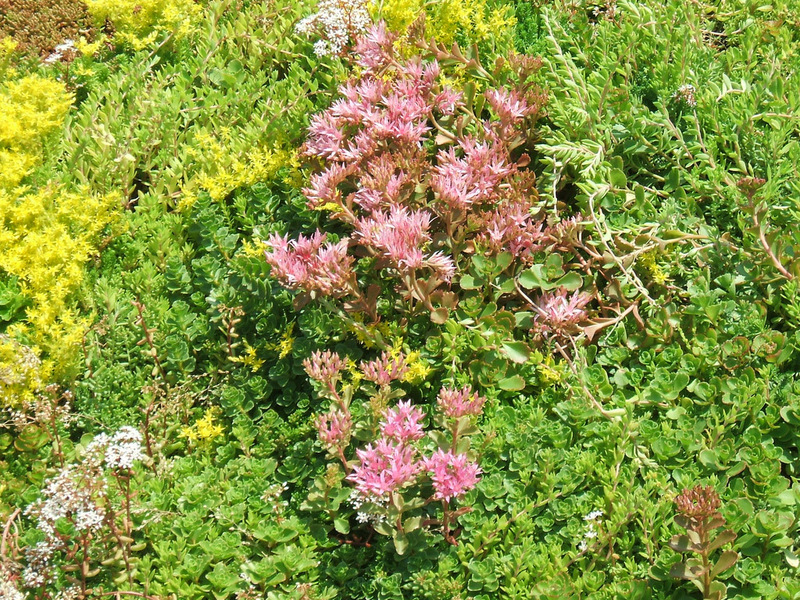 Using a modular configuration, all the key elements of a green roof are integrated to form an easy-to-pick-up and easy-to-put-down method. Seamlessly providing the aesthetics of a monolithic built up green roof. This easy to install method greatly reduces installation costs. Our roof system retains up to 8 gallons of storm water per panel. Our panels -- fully saturated and fully vegetated – weigh only 17 pounds per square foot. The flexible, interlocking panel system easily scales to create extensive and intensive roof top gardens. The Greenlivingtechnologies.com system can accommodate paver patios and walks. With a crush rating of 3200 pounds per square foot, we can eliminate costly pedestal systems. All this combined with our corporate partnership with Hyload Waterproofing, makes Greenlivingtechnologies.com your one-stop-shop for Green Roofs.